Research shows that there are many benefits to journaling, in terms of both physical and emotional health, making it a good time investment that can fit conveniently into a morning or evening schedule, or can even be integrated into many people's workday. You have many options on how to organize your journal; here are some guidelines for a successful journaling practice. Meditation can take many forms and is found in virtually all cultures as a healthy and even spiritual practice. Whether you meditate for five minutes or an hour, you reap a wide range of benefits by being consistent and making it a daily practice. And while a short session can still bring benefits, long-term practice can build resilience. Here's more on the benefits of meditation, and on different types of meditation. Health researchers recommend a daily dose of exercise for optimum health and the avoidance of conditions such as cancer and obesity, and exercise is also a great stress reliever. For those who go to spin class, walk the dog in the morning, or find other ways of working physical activity into their day, there are health benefits on many fronts. But you may not realize that exercise increases resilience toward stress while it improves longevity and quality of life. This is one of the more challenging stress relievers to begin and stick with, but it's one of the most rewarding. Here's how to get started with your exercise program. Hospitals and therapists are using music for its health-enhancing properties, and you can use it to relieve stress. 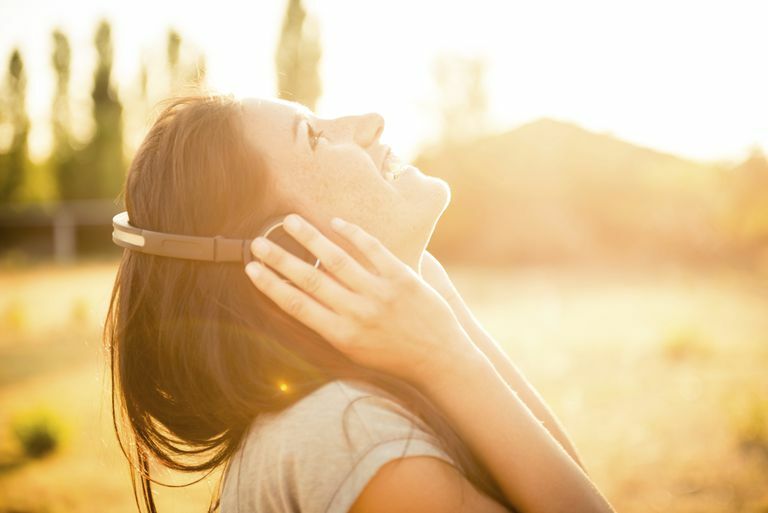 Music can calm your experience of stress, both physically and emotionally, and leave you feeling soothed and relaxed without having to lift a finger. There are many ways to work music into your day, and you'll find some great stress management benefits if you do. (For example, playing your favorite music during your commute can relieve stress and have you feeling better when you arrive.) If you want to make an easy change that leaves you feeling less stressed each day, just add some music to your day—it doesn't matter what type as much as whether you enjoy it, so skip the classical (if you don't like classical music) and turn up the tunes you really love! Research on positive affect – being in a good mood – shows that when people do small things that lift their mood, it creates an 'upward spiral' of positive feelings that lead, put simply, to an increased resilience toward stress. (The more complicated explanation is that they broaden your awareness of your opportunities, your improved mood leads to a greater motivation to take advantage of these opportunities, and this tendency to build resources leads to more positive moods; it's a self-perpetuating cycle.) So doing one small thing each day can create something much larger that helps you to overcome stress and keep a smile on your face at the same time. This is one of the most effective strategies to try.